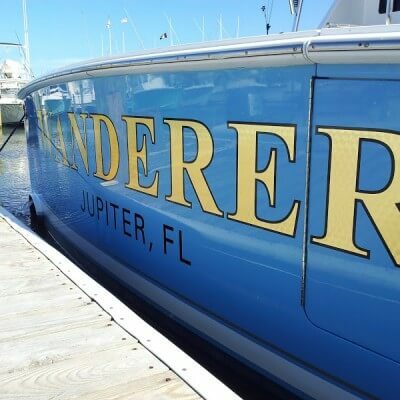 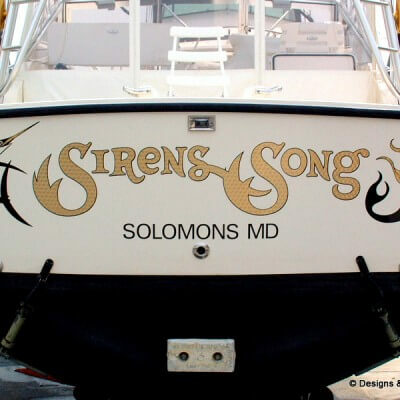 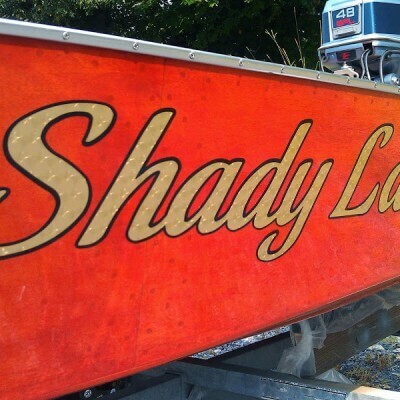 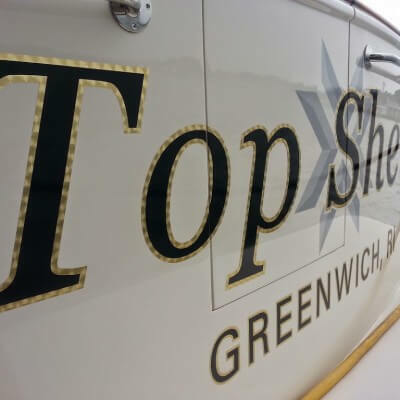 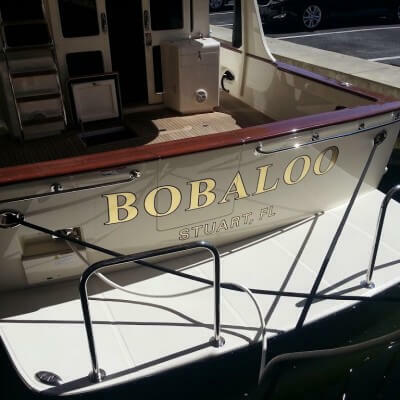 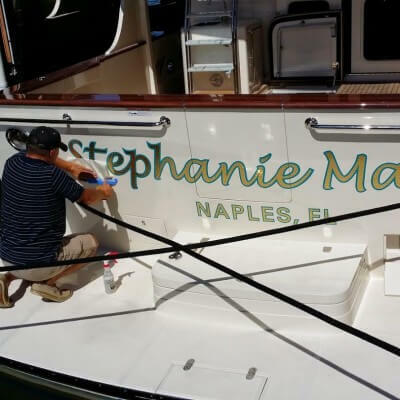 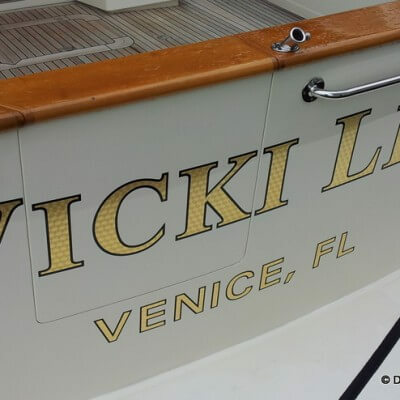 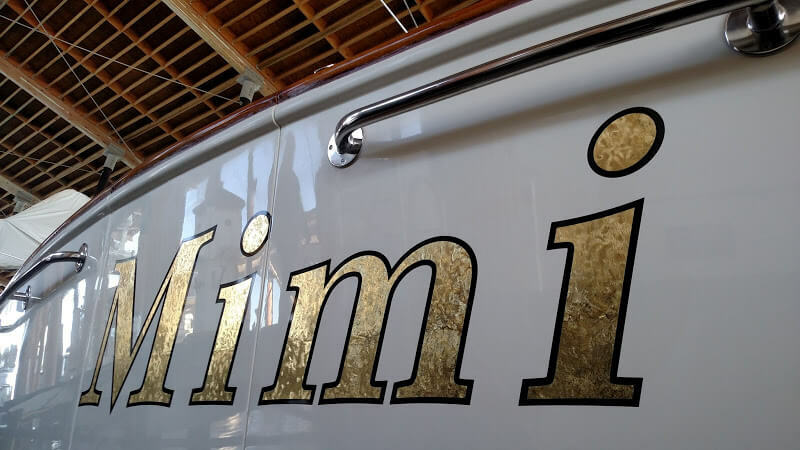 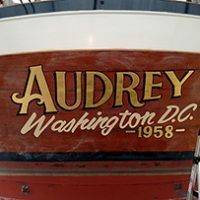 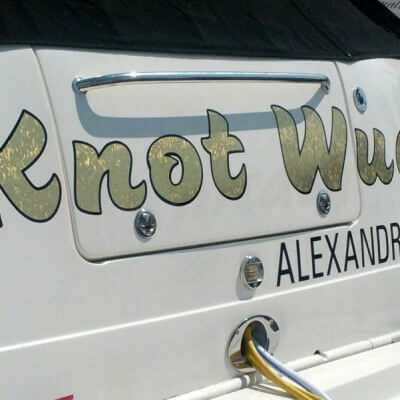 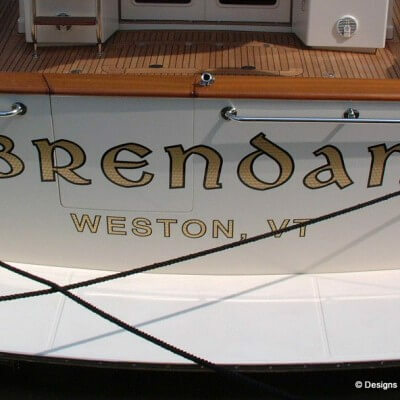 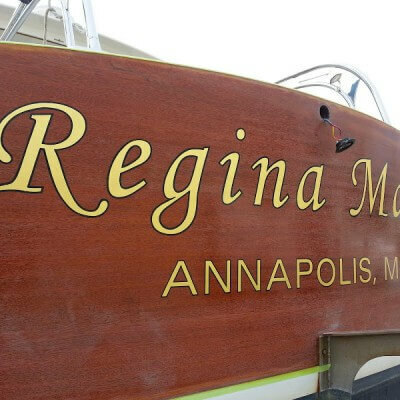 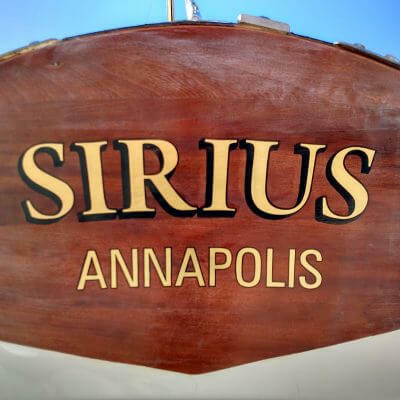 Mimi – the transom of a luxury yacht with florentine swirl gold leaf lettering. 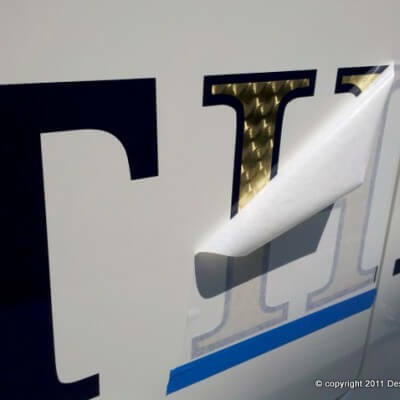 We also have burnished gold leaf, mirror leaf and engine turn gold leaf available. 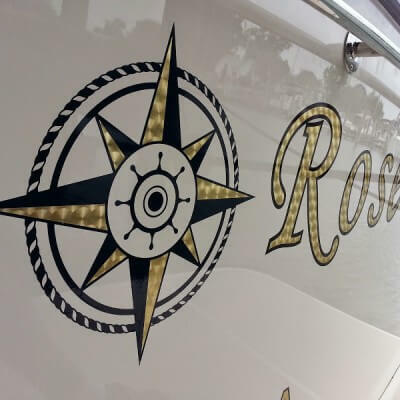 For the more daring sailor, we have to use florentine swirl 23 karat engine turn gold leaf film. 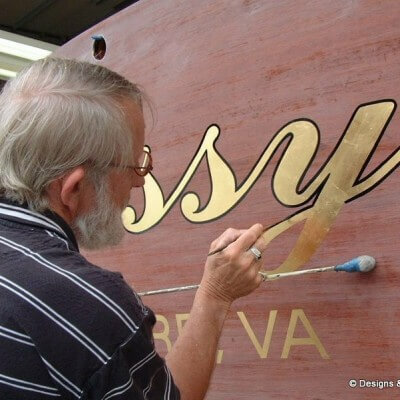 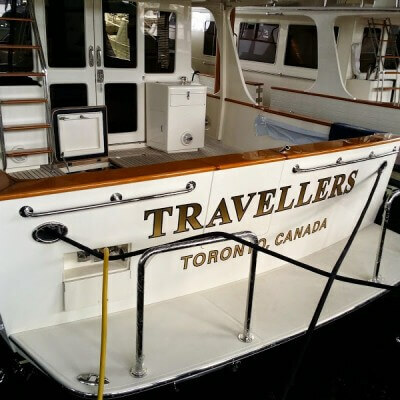 The more traditional look would be engine turn gold leaf or burnished gold leaf. 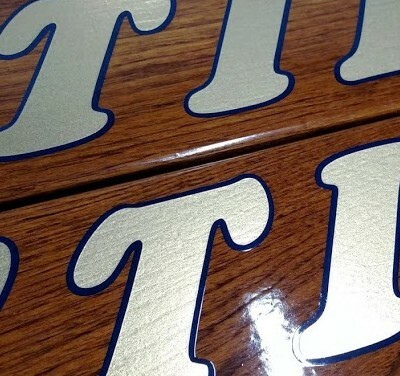 However, you really can’t wrong with gold leaf film no matter what you use. 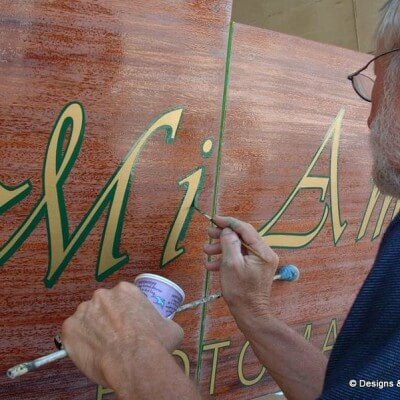 Florentine swirl is absolutely beautiful. 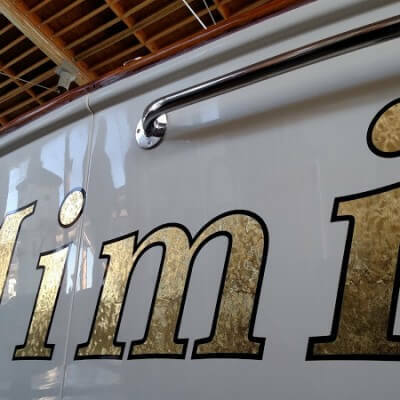 Mimi is top notch and her name leaves nothing to be desired. 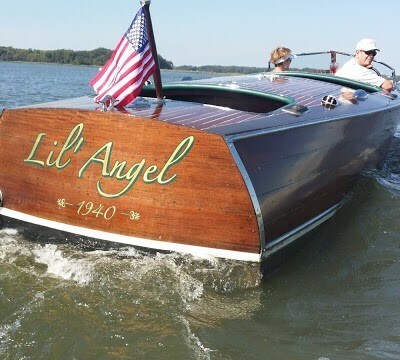 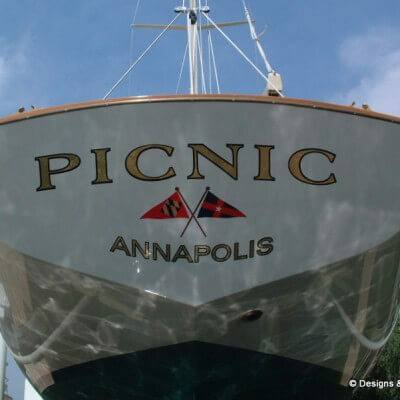 Another fantastic Fleming Yacht at Burr Yachs Sales in Edgewater, Maryland. 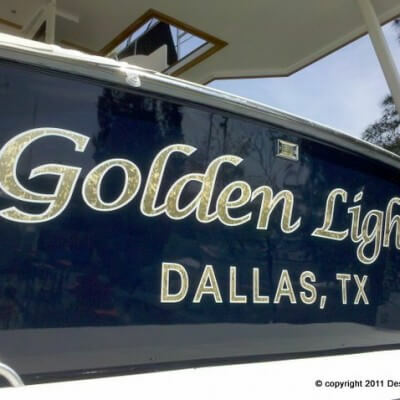 23 karat gold leaf with a black outline.